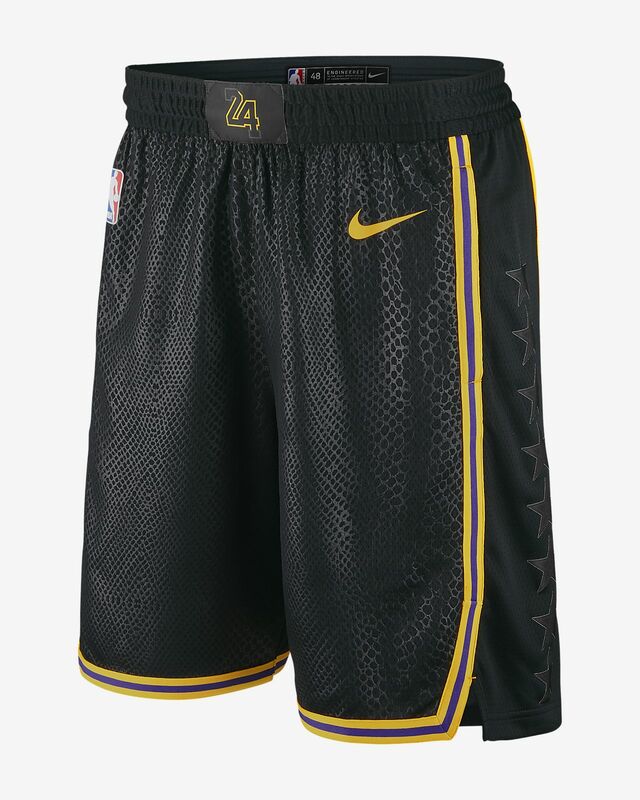 Los Angeles Lakers Nike City Edition Swingman Men's NBA Shorts feature the team's newest city-inspired uniform design. They are made from sweat-wicking, double-knit fabric and are directly inspired by the authentic on-court shorts. 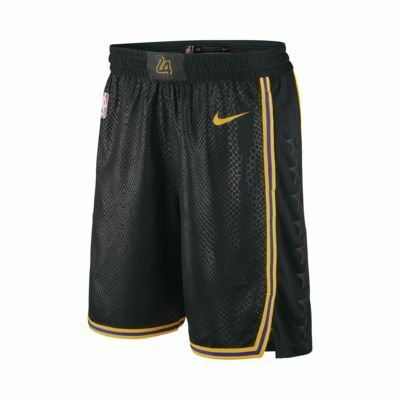 Los Angeles Lakers Nike City Edition Swingman Men&apos;s NBA Shorts feature the team&apos;s newest city-inspired uniform design. They are made from sweat-wicking, double-knit fabric and are directly inspired by the authentic on-court shorts. Have your say. Be the first to review the Los Angeles Lakers Nike City Edition Swingman.